On the hunt for some accountancy advice and tax tips as a self employed contractor or freelancer? Clear Books accounting partner, Tony Dhanjal from Aidhan Accountancy (www.aidhanfinancial.com), gives us a run down on the top 10 tax planning tips. As at 2015/16, this amount is £10,600 which equates to £883.33 per month. This is the level of an individual’s personal allowance for income tax. The Employee NIC free allowance is £8,060 and is payable at 12% for any salary amount between £8,060 and £42,380 and 2% on any amounts thereafter. Use this salary calculator to explore taxes paid. Contractors & freelancers are subject to Class 1 “Employers” national insurance payable by their Ltd Company. Employer’s national insurance is levied at a rate of 13.8% on director and employee salary amounts over £8,112 per annum and up to £42,385 p/a. However, the employment allowance absorbs the first £2,000 of employer’s national insurance liability and means you would have to earn a director salary in excess of £22,600 before your Ltd Company starts paying any employers national insurance. If you buy a capital asset (items such as laptops, hardware, fixture and furniture for your office), you can claim what is known as a first year capital allowance. The first year capital allowance is like an accelerated depreciation charge that provides tax relief in the year of purchase. In 2015/16, the first year allowance is a very generous £500,000 although this allowance does tend to be changed in the Budget every year! IR35 is a piece of tax legislation that assesses contractors/freelancers based on the substance of their working arrangements. Being caught inside of IR35 can defeat the object of running your contractor/freelancer business through a Ltd Co. IR35 is assessed on a contract by contract basis. 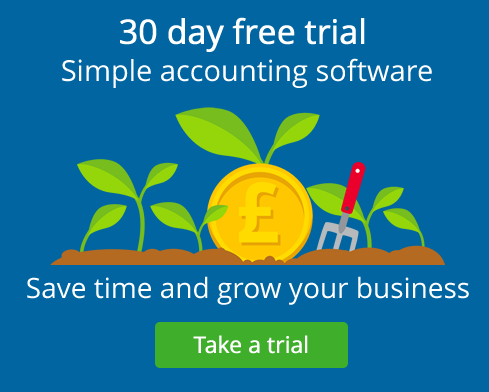 You must always submit your data and VAT returns on time, you can use Clear Books accounting software to do this. If you continuously submit your data or returns late you will get hit with unnecessary fines from both HMRC and Companies House. As with anything, the GIGO principle applies – Garbage In, Garbage Out. If you provide your accountant, the tax office or Companies House with incomplete, incorrect or no data, then you will only get back what you put in. We are all only as good as the data/information we receive!! This is available to contractors/freelancers who are selling/closing down their Ltd Co’s. Once all other tax-efficient means have been utilised (director salary & dividends), entrepreneurs relief can be applied to any remaining funds in the company taxed at only 10%. However, this is subject to a whole host of criteria being satisfied and is subject to a £25,000 limit for personal services companies. http://www.aidhanfinancial.com/Accountancy/face_to_face_consultation.php or call them on 0203 368 3173. This one is really a good post. It is going to help me a lot. The stuff and is very well topic related and useful for me. Glad you found it helpful Ed! We’re focusing on producing more content like this at the moment, so let us know if there’s anything you’d like to see!